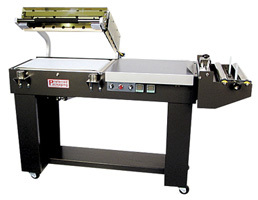 The Preferred Pack Model LS-16 L-Sealer is a heavy duty production based unit designed to be run 2 shifts per day if needed. With its heavy duty frame construction, cast aluminum seal head and Hot Knife Seal Technology, you will get years of use with minimal repairs. This machine is capable of operating at speeds of around 600 – 800 pieces/ hr. Independent Front and Side Digital Temperature Controls.